There is a growing need in South Africa for skilled motor technicians. Les Mc Master, Director of the Motor Industry Workshop Association (MIWA), says there is in fact a demand for skilled motor technicians around the world. “With vehicles becoming increasingly more complex, workshop technicians, or mechanics as we know them, are expected to be able to operate at more and more complex and technical levels. We are seeing some of our top mechanics being poached by international companies which is sad considering we need their skills in South Africa,” he says. This is not a surprising trend considering that the US Bureau of Labor Statistics predicted in 2012 that the number of jobs for auto mechanics in the US will increase by 17 percent by 2020. That translates into an additional 124 800 jobs by 2020. According to the statistics, growth factors include an increase in the number of vehicles, the longer life of newer cars and the use of advanced technologies, such as hybrid fuel systems. “Because the need for skilled workers is starting to exceed the demand, those with training in advanced auto technology, such as computer systems, have good prospects in the US and other countries,” explains Mc Master. He also encourages those thinking about entering this job space to do so. “Workshop technicians perform a unique job that requires the skills and ability to integrate theoretical knowledge with practical hands-on and problem solving ability on a daily basis. 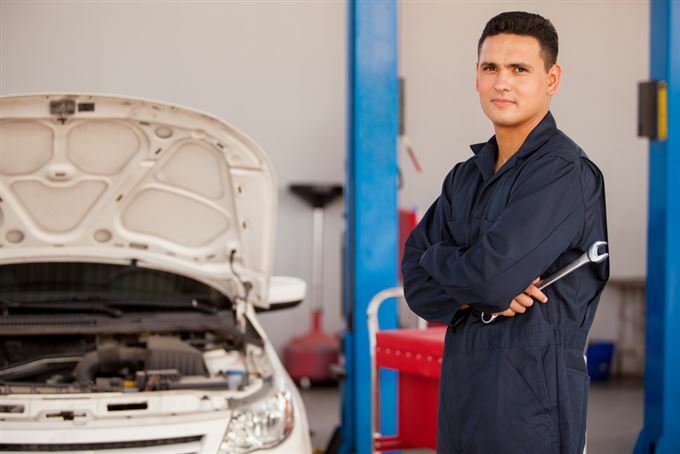 Typically automotive service technicians and mechanics maintain and fix cars and light trucks. However the type of work we do has changed over the years. It used to be simple mechanical repairs. Today it is a highly technical job since vehicles today are run by electronic systems and computers,” he says. He explains that to do the job, technicians must know a lot about how complex parts of the vehicle work together. “Mechanics must be able to work with electronic equipment and be able to read and understand manuals and machines that are computer-based. At the same time they must be able to use the power- and hand-tools we’ve used in the past. Because there are so many parts to a vehicle some mechanics specialise in fixing only one certain part of it. For example, some technicians will only fix brakes while others will solely work on problems with the air-conditioning system. It’s a hands-on job that is very rewarding,” he says. Mc Master says problem solving is a vital skill if you are considering a career as a mechanic. “Maths and computer science are good subjects to do if you have an interest in this field,” he says. Mc Master highly recommends upskilling for those already in the industry. “Advanced skills are in demand. There are some excellent on-the-job courses available, such as MIWA’s Master Technician Programme, which will take your formal training to the next level. There’s no doubt that we are an industry seeing massive change in technology. Workshops that are ahead of the curve in terms of repair skills will really reap the benefits in the years to come,” he concludes.